Please note, this is a sponsored post, but all opinions are my own. Dorothy Perkins have launched the Style Essentials collection as an affordable and fun way to update your wardrobe ready for Autumn. I was lucky enough to be offered the chance to explore the collection and select some items suitable for my own rockabilly/alternative wardrobe. It wasn't hard to pick! A biker jacket (available in faux leather and real leather) is a staple item of a rockabilly wardrobe. I went for the leather option, and I have to say I love it. 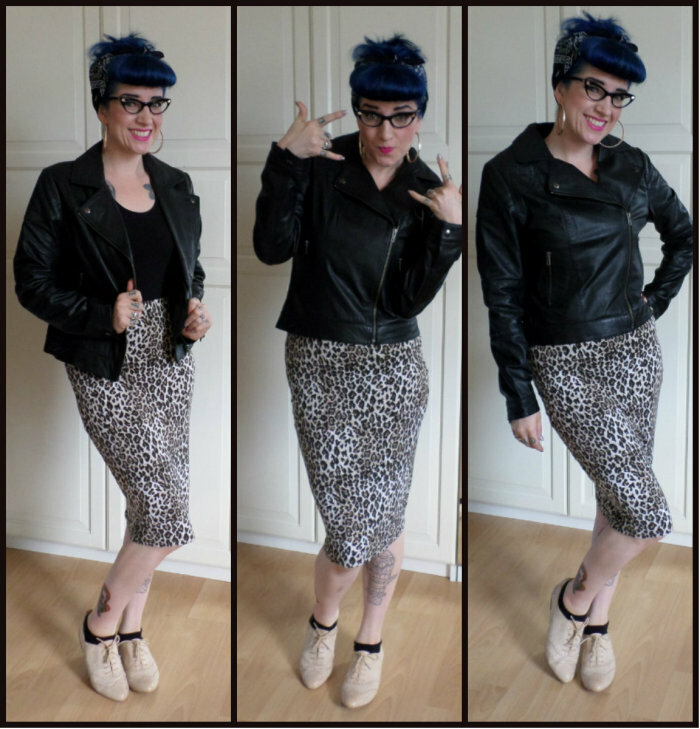 I teamed it with the obvious rockabilly look - a leopard print pencil skirt. I own many a faux fur coat, and my black one has been well loved, and is therefore looking very well worn. Dorothy Perkins agree that faux fur is a Style Essential, and have a range of coats and jackets ready for those cooler nights. The black fur called my name, and its pretty darn fabulous! If you'd like a chance to shop the Style Essentials collection for yourself, Dorothy Perkins is running a competition to win £500 to spend, along with a hotel and a posh meal with a friend. Good luck if you decide to enter!